"Robust, Dark and Smooth, hold on to your hat cause you’ll lose your feet on this one!" Brewed with pale, dark crystal, Munich, flaked barley, black and chocolate malts. Hops include Cascade, Crystal, Challenger and Perle. Our golden American ale has a crisp body and slightly dry, hoppy finish. This is a real treat for the beer lover. Pale, wheat and torrified wheat malts are used with Northern Brewer and Mt. Hood hops. The unofficial name for this beer is “Super Glide”. 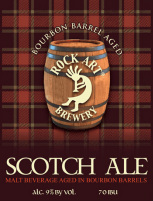 Malty rich with a hint of spicy hops and roasted grains. This beer is one smooth ride with a clean finish! We brewed this one with American Pale, oats, flaked barley, black, chocolate, red malt, melandolin malt. American hops include Magnum, Centennial, Liberty and Crystal. Enjoy! A light copper body low bitterness with good hop flavor. This is my impression of what the English troops may have been drinking when they occupied India. The pale ale they drank had mellowed considerably. The wooden casks had spent many months traveling on ships and long inland journeys to the troops, where they were then tapped and enjoyed. "Grab your darts and let's go!" This is a dark ruby red porter with a medium body. A slight hint of smoke is detected from a small portion of grains used that are smoked with beechwood. Pale, chocolate, black and crystal grains are also used with Norther Brewer and East Kent Golding hops. A golden hue and malty body thinned a bit by the 8%abv. In the background is a light handed kettle addition of fresh sliced ginger root. We brewed this one because we just can't get enough of those hops. IPA's seem to be a great choice any time of the year. 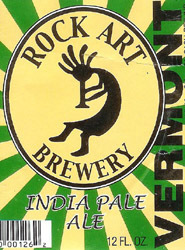 They have a great malt flavor and hop profile, just what a beer connoisseur is looking for. We decided to give this one a bit more hops. We brewed THE VERMONSTER with 110 pounds of malt per barrel and jacked up the pour into a wide mouth thin glass goblet.